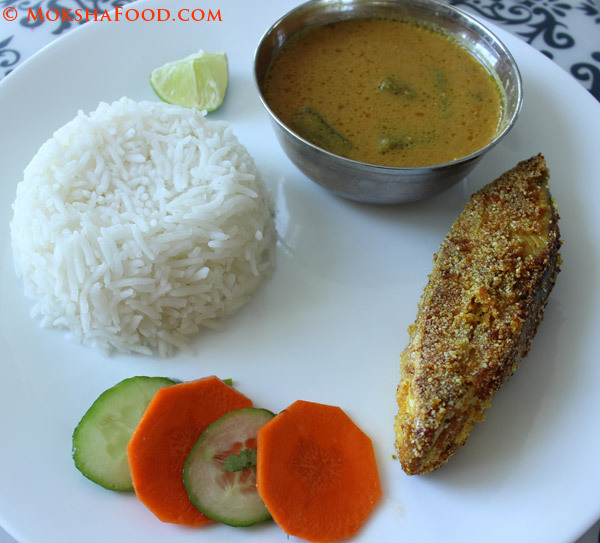 Hooman is a goan staple curry usually served with white rice and fried fish. 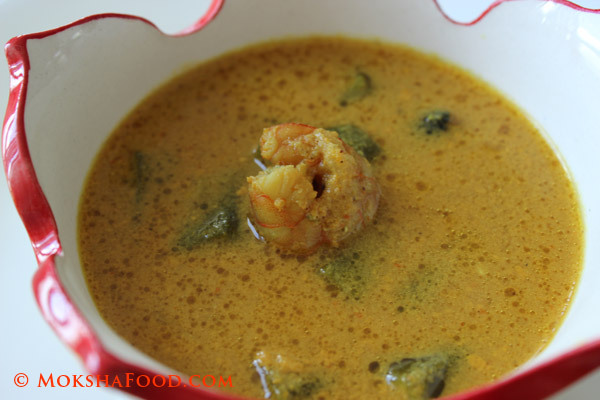 It can have many variations depending on the seafood added. Sungtyache Hooman is Shrimp Curry. 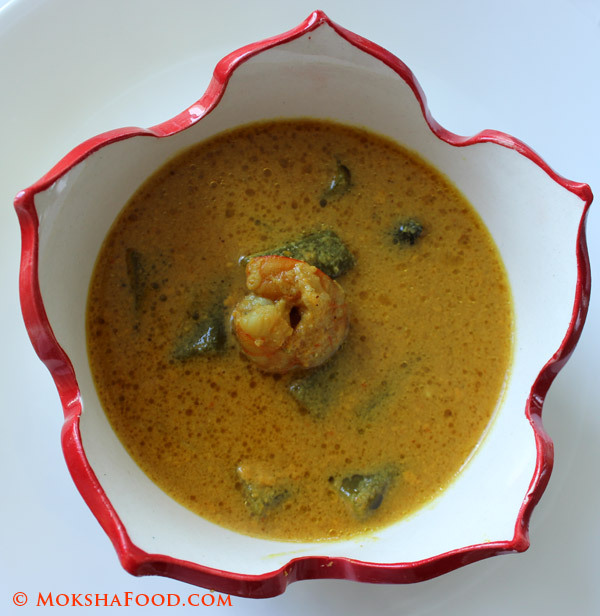 You can also add drumsticks or chopped large pieces of okra or radishes to enhance the flavor of the curry. You can also make Hooman with fish like Mackerel, Silver Whitings, Kingfish or Pomfrets. Mackerel being a strong flavored fish, Hooman made with it also required the addition of a rare spice called triphala. This is a pungent spice added only for flavor and not for consumption. It is available only in the western coast of India along Goa and Konkan. Today mom made Shrimp curry with rice and fried pomfret fish for lunch. Grind together coconut, red chilies, coriander seeds, tamarind pulp,1/4 chopped onion and turmeric pdr to a smooth paste. In a saucepan, heat 1 tbsp. of oil. Saute remaining chopped onions till pink. Stir in the shrimp and saute till they turn opaque and pink. Add the ground paste and some water to reach the desired consistency. Simmer the curry for 10 mins. Lastly add the kokum and let it flavor the curry. Remove off heat and serve hot with white rice.